Our committees can always use a new member to bring fresh new ideas and energy. According to our bylaws, "The purpose of the Nelson Lake Association is to preserve and protect Nelson Lake and it’s surroundings, to enhance the water quality, fishery, boating safety, and aesthetic values of Nelson Lake as a public recreational facility for today and for the future generations while respecting the interests of property owners and the public, and to provide the opportunity for fellowship among Association members." The Nelson Lake Association is one of the strongest and most active lake associations in Sawyer County. It has many committees such as Water Quality, Fish & Wildlife, Legislative, Picnic, Winter Rama, Membership, Newsletter & Directory, Adopt a Road, Conservancy, Safety & Courtesy, Invasive Species, and Shoreline Protection. Our committees can always use a new member to bring fresh new ideas and energy. We would like you to consider joining. 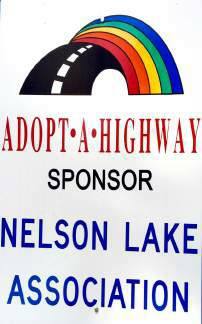 Joining the Nelson Lake Association gives you a special opportunity to be part of the future of Nelson Lake. Along with other lake members you will help to make the important decisions that will determine the future of our beautiful lake. Many opportunities are available for your active participation. Our year runs from April 1st to March 31st. Please join us!